Liquid soaps containing antimicrobial active ingredients take away more bacteria as compared to plain soaps. This study was conducted to formulate a liquid hand soap with P. aduncum leaf extract as an organic antibacterial component. The physico-chemical properties was evaluated to determine the quality, efficiency, and cleansing properties of the liquid soap. The antibacterial potential was measured using the disc diffusion method. The pH values of the different formulated liquid hand soaps are within the accepted pH range of 8.5-10.5. In foam retention capacity, the 25% concentration of P. aduncum has the longest time duration of 110 minutes whereas the 75% concentration of P. aduncum has the shortest time duration of 75 minutes. Results revealed that the zone of inhibition of commercial liquid hand soap significantly vary as compared to the formulated liquid hand soaps with P. aduncum crude extract. However, among the formulated liquid hand soaps with P. aduncum crude extract, it all exhibited antibacterial activity in terms of zone of inhibition up to 16 hours, but not as greater as the commercial liquid hand soap. It was therefore proven that P. aduncum crude extract is not effective as an antibacterial component in the formulation of liquid hand soap. Alea Ester T. Ordoyo and Melbert C. Sepe (2019) Antibacterial potential of liquid hand soap with Piper aduncum leaf extract, Int. J. of. 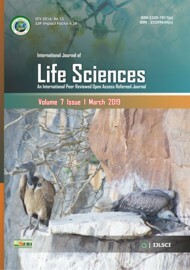 Life Sciences, Volume 7(1): 1-9. The authors would like to thank Professor Soledad P. Salazar for her expertise and guidance to this study; the Chemistry Department in College of Science and Mathematics, Western Mindanao State University, Zamboanga City for the usage of rotary evaporator on crude extraction; and the Regional Animal Disease Diagnostic Laboratory (RADDL), Zamboanga City for the evaluation of antibacterial assay. Abreu OA, Sanchez I, Pino J, Barreto G (2015) Antimicrobial Activity of Piper aduncum sub sp ossanum essential oil. International Journal of Phytomedicine. 7 (2): 205-208. Brazao MA, Brazao FB, Maia JM, Montero MC (2014) Antibacterial activity of the Piper aduncum oil and dillapiole, its main constituent, against multidrug-resistent strains. Bol Latinoam Caribe Plant Med Aromat. 13(6): 517-526. Debnath S, Babu MN, Bharathi MD, Jyothsna T, Revathi D, Kishore Kumar TS (2011) Formulation and Evaluation of Liquid Soap Containing Herbal Antimicrobial Agent. Research Journal Pharmacognosy and Phytochemistry. 3(5): 225-231. Duarte MCT, Figueira GM, Sartoratto A, Rehder VLG, Delarmelina C (2005) Anti-Candida activity of Brazilian medicinal plants. Journal of Ethnopharmacology. 97: 305-311. Essien NB, Udofia PG, Jonathan EM (2013) Optimization of Functional Properties in Laundry Soap of Bleached Palm Oil-Palm-Palm Kernel Oil-Groundnut Oil Composite with the Simplex Centroid Mixture Design. Journal of Chemical, Biological and Physical Sciences. 3(4): 2902-2911. Fuls Jl, Rodgers Nd, Fischler GE, Howard JM, Patel M, Weidner PL, Duran MH (2008) Alternative hand Contamination Technique to compare the activities of Antimicrobial and Nonmicrobial Soaps under Different Test Condition. Applied and Environmental Microbiology. 74(12): 3739-3744. Gopalakrishman J (2015). Analysis of ash suspension obtained from Piper aduncum that claimed to cure cancer in Papua New Guinea. Journal of Coastal Medicine. 3(8):630-635. Habib A, Kumar S, Sorowar S, Karmoker J, Khatun K, Al-Reza S (2016) Study on the Phytochemical Properties of Some Commercial Soaps Available in Bangladesh Market. 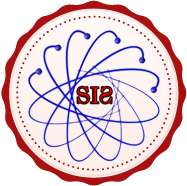 International Journal of Advanced Research in Chemical Science. 3(6): 9-12. Hastuti US, Ummah YPI, Khasanah HN (2017) Antifungal Activity of Piper aduncum and Peperomia pellucida Leaf Ethanol Extract against Candida albicans. The 7th International Conference on Global Resource Conservation. 1-4. Kloucek P, Polesny Z, Svobodova B, Vlkova E, Kokoska L (2005) Antibacterial screening of some Peruvian medicinal plants used in Calleria District. Journal of Enthnopharmacology. 99: 309-312. Londhe J, Jagtap SD, Doshi C, Jagade D (2015) Formulation of Herbal Hand Wash with Potential Antibacterial Activity. International Journal of Research in Advent Technology. 11-15..
Lucena DC, Bertholdo-Vargas LR, Silva, W, Machado AF, Lopes TM, Moura S, Barros NM (2017) Biological Activity of Piper aduncum extracts on Anticarisa gemmalis (Hubner) (Lepidoptera: Erebidae) and Spodoptera frugiperda (J.E. Smith) (Lepidoptera: Noctuidae). Annals of the Brazilian Academy of Sciences. 89(3):1869-1879. Mamood SNH, Othman H, Nasir NM, Ghazali AR, Budin SB, Zulfakar MH (2017) Dermal Toxicity of a Repellent Formulation Containing Piper aduncum Linnaeus (Piperales: Piperaceae) Essential Oil. American Journal of Pharmacology and Toxicology. 12(2): 39-47. Mamood SNH, Hidayatulfathi O, Budin SB, Rohi GA, Zulfakar MH (2016) The formulation of the essential oil of Piper aduncum Linnaeus (Piperales: Piperaceae) increase its efficacy as an insect repellent. Bulletin of Entomological Research. 1-9. Mee KC, Sulaiman S Othman H (2009) Efficacy of Piper aduncum Extract against the Adult Housefly (Musa domestica). The Journal of Tropical and Parasitology. 32(2): 52-57. Narkhede DB (2010) Formulation and Evaluation of Coconut Oil Liquid Soap. Ijpwr. 1(2):1-15. Omwoyo WN, Vivian OP, Nathan O, Osano A, Mesopirr L (2014) Assessement of the Physicochemical properties of Selected Commercial Soaps Manufactured and Sold in Kenya. Open journal of Applied Sciences. 4:433-440. Onyango VP, Oyaro N, Aloys O, Linda M, Omwoyo W (2014) Assessment of the Physicochemical Properties of Selected Commercial Soaps Manufactured and Sold in Kenya. Journal of Applied Sciences. 4: 433-440. Pacheco FV, Avelar RDP, Alvarenga ACA, Bertolucci AKV, Alvarenga AA, Pinto JEBP (2016) Essential oil of monkey-pepper (Piper aduncum L.) cultivated under different light environment. Industrial Crops and Products. 85: 251-257. Rempe CS, Burris KP, Lenaghan SC, Stewart N (2017) The potential of Systems Biology to Discover Antibacterial Mechanisms of Plant Phenolics. Frontiers in Microbiology.8:1-12. Sajed AN, Shagufta, Haider S, Yousaf NW, Ali IAS, Imran S (2014) Antibacterial Activity of Liquid Hand Washes Against Daily Encounter Bacteria. IOSR Journal of Pharmacy. 4(2): 19-23. Selvi V, Isaivani I, Karpagan S (2012) Studies on antimicrobial activities from flower extract of Cassia alata Linn. INT J CURR. 299-303. Warra AA, Wawata LG, Gunu SY, Atiku FA (2011) Soap preparation from Soxhlet extracted Nigerian cotton seed oil. Advances in Applied Science Research. 2(5):617-623. Xie Y, Yang W, Tang F, Chen X, Ren L (2015) Antibacterial Activities of Flavonoids: Structure-Activity Relationship and Mechanism. Current Medicinal Chemistry. 22(1): 132-149.